Where do you start – your head or your heart? 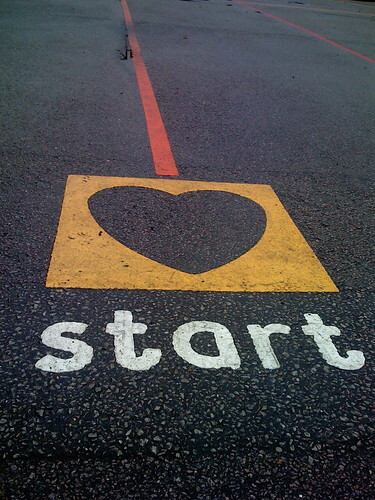 Where do you start – from your head or from your heart? Do you honour your intuition above all? Have you honed your gut feelings like a finely aged wine? Are your spidey senses are sharp as a tack? If so you’re likely a Heart Life Lens™. Do you prioritize what you can prove? Is what’s rational king in your world? Is your queen the science of objectivity? If so you’re likely a Head Life Lens™. Head and Heart Life Lenses™ often have a tough time talking to each other. if you’re a Heart Life Lens™ talking to a Head Life Lens™ premise what you’re saying with “I think”. It may feel weird to you but it will have more resonance with your Head Life Lens™. if you’re a Head Life Lens™ talking to a Heart Life Lens™ start what you’re saying with “I feel”. It may seem strange to you but it will have more resonance with your Heart Life Lens™.